Pictured are Margaret Fyfe and Ernest Boettcher tying the knot. 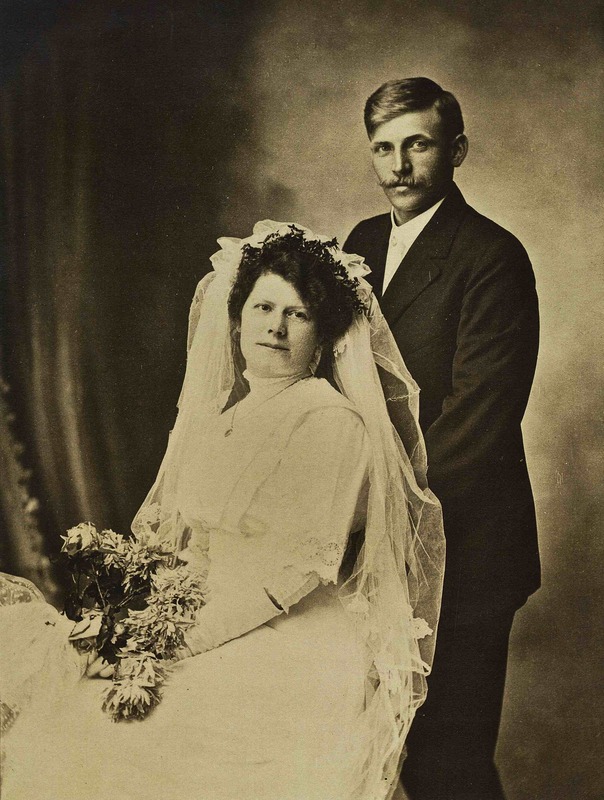 The Boettchers were one of the first three families who settled in Alder, all within about six months of each other. Their property was located about 2 miles east of the Alder town site.